We know: it’s December. Even in Nevada, things are chilly and air conditioners are in hibernation. However, we are here to tell you that it’s a really good idea to think about your air conditioning system right now. Things warm up fast here, and the only way to beat the heat is to be ahead of the curve. 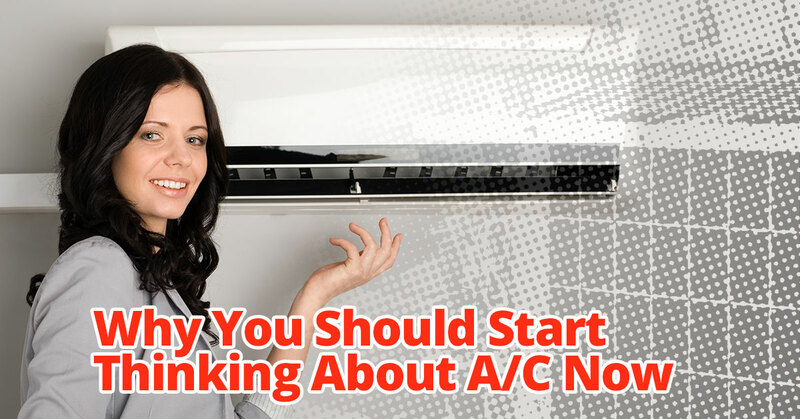 The best way to stay ahead of the curve is to give A/C a little thought in these cold months, so when things warm up, you don’t have to deal with the rush of unprepared people trying to get air conditioning installed or maintained. You can relax and enjoy sweet, cool air from your happy air conditioning system! If you aren’t convinced, read on. We’ll give you some reasons you can’t argue with! Modern air conditioners are often built like tanks – able to take a lot of beatings and keep going. However, they can guzzle your bank account and fail to live up to their potential if they aren’t being maintained. This is true for both commercial and residential air conditioners. As we said, once things start warming up, HVAC companies get really busy, and you can end up waiting for an appointment, miserable in the heat. There’s no reason for this to happen to you. Get on our schedule for February or March. We’ll have the ability to come when it’s most convenient for you, and you won’t have to worry about making an appointment during the spring rush. You may have changed an air conditioning filter once or twice in your life. You may feel confident in the many DIY resources you can find on the internet. However, there are some snags here. Doing maintenance on your A/C unit by yourself can lead to the loss of warranties and expensive replacement costs. This is especially true when it comes to commercial air conditioning systems. Because you get the best breeze for your buck when the system is running well, it is worth investing in the expertise of someone who works on A/C units for a living. The experts at Tippetts Mechanical will address every part of your system to ensure it is running at its true best. Professional air conditioning service ensures that your bank account will be happy in the long run. Not only does professional maintenance preserve warranties, it can lower your energy bills, prolong the life of your equipment, reduce the need for repairs, and protect you from cataclysmic (expensive) system breakdown. Let us be your allies! At Tippetts Mechanical, we pride ourselves on going the extra mile. We make Las Vegas a nice place to live year-round with our full menu of HVAC services. Not only do we offer emergency service, we provide an unbeatable service program that already provides hundreds of people across the area with peace of mind. We are passionate about staying on the cutting edge of HVAC technology so we can address any issue or installation with confidence and excellence. Turn to the HVAC company who will put you first every time. Contact us today!